Wrap-Up -- Friday night’s affair at The Q featured a familiar 48-minute storyline and, unfortunately, a similar ending for the Wine & Gold. Once again, the Cavaliers hung tough for the better part of three quarters – erasing an early 15-point lead and going toe-to-toe with Sacramento through the third before running out of steam down the stretch and succumbing to the hot-shooting Kings – 129-110 – suffering their second straight home loss. 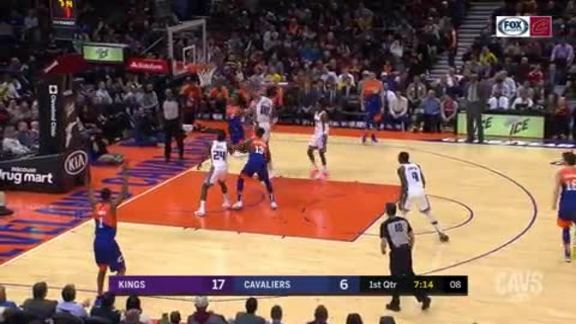 Both teams shot well right from the opening tip and the Cavaliers put up a 39-point second quarter for the second time in as many games – shooting 65 percent from the floor in the period to tie the affair at 66-apiece at intermission. 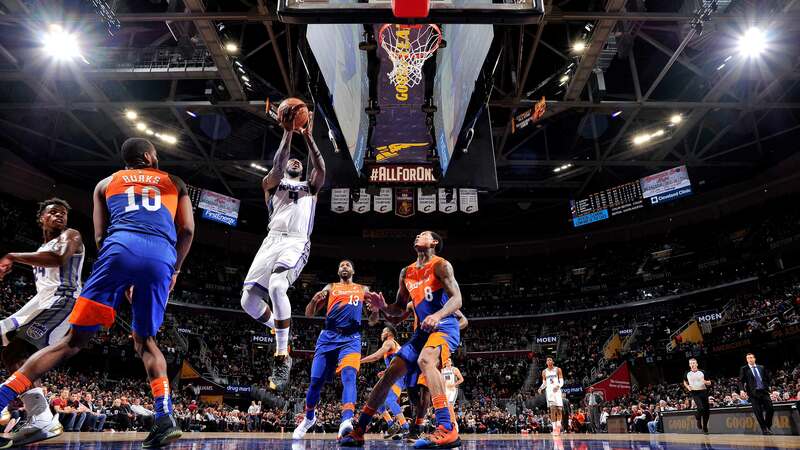 But the new-look Kings began pulling away in the third quarter and blew things open in the fourth – outscoring Cleveland, 63-44, in the second stanza to hand the Wine & Gold their 20th loss of the season. The Cavaliers came into Friday’s contest already shorthanded and learned minutes before tipoff that they’d be without starting guard George Hill – who was traded to the Bucks in exchange for former Cavalier Matthew Dellavedova, John Henson along with Milwaukee’s first and second round selections in 2021. Sam Dekker, who was slated to return on Saturday night, was also part of the deal – immediately shipped to Washington in exchange for Jason Smith with the Wizards’ 2022 second rounder headed to Cleveland. After holding the Nets under 40 percent shooting in a Monday night victory in Brooklyn, the Cavaliers’ defense has taken a beating over their last two outings – with the Warriors shooting 53 percent from the floor, drilling 18 triples on Wednesday and the Kings hitting on 57 percent of their shots while canning 13 threes of their own on Friday. 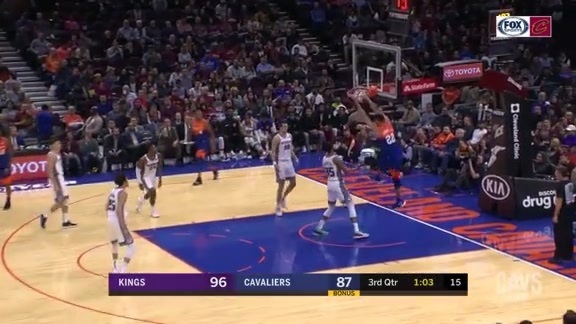 The Cavaliers’ offense had a solid night, shooting 53 percent from the floor as a team and featuring three 20-point scorers – including two off the bench. Alec Burks records another double figure scoring effort off the bench. Jordan Clarkson led the Wine & Gold with 26 points, going 11-of-19 from the floor, including 4-of-7 from long-range to go with four boards. Collin Sexton waged an impressive battle with Kings counterpart, De’Andre Fox, all night. 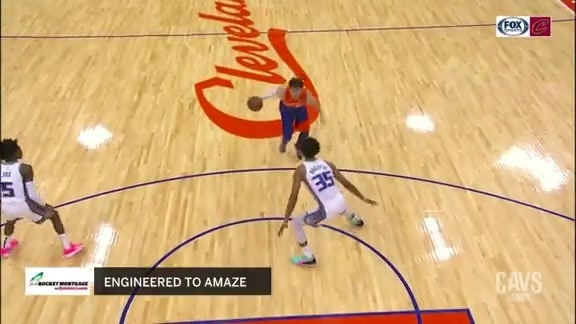 Sexton was very good – finishing with 23 points on 9-for-16 shooting from the floor and 5-of-6 from the stripe, adding a pair of assists. But Fox was that much better – tallying a game-high 30 points to go with 12 assists, three more than Cleveland’s combined starting lineup. The Wine & Gold’s assist leader on Friday night was Alec Burks, who had a solid offensive showing in his own right – tying a season-high with 22 points on 8-for-14 shooting, adding eight helpers, seven boards and a steal in the loss. Larry Nance Jr. was back in the starting lineup on Friday night and tallied double-figures – finishing with 11 points on 4-for-5 shooting, adding seven boards. Cedi Osman finished with 10 points but struggled to shoot the ball, going just 4-of-13 from the floor, including 1-of-6 from beyond the arc., adding six boards, three assists and a pair of steals. Buddy Hield pitched in with 25 points, going 5-of-8 from long-range and 9-of-17 from the floor overall. The Kings also got solid support off their bench in the victory – with Bogdan Bogdanovic and rookie Marvin Bagley III combining for 32 points in relief. Turning Point -- The Kings were threatening to blow things open in the third quarter and did so in the fourth. After heading to the final period down just a touchdown – 96-89 – the Kings hit the accelerator almost immediately, going on a 10-2 spurt to start the quarter and keeping the heat on from there, closing on a 16-7 run to seal the deal. By the Numbers – 1 … number of players in Cavaliers franchise history to come off the bench and register at least 22 points, seven rebounds and nine assists – Alec Burks on Friday night. Up Next -- Following Friday’s loss to the Kings, the Wine & Gold wrap up their three-game homestand on Saturday night when they welcome Bradley Beal and the Wizards to The Q. On Monday night, the Cavaliers make their first trip to Milwaukee this season to face off against the Central Division-leading Bucks. From there, it’s right back home for another three-game stay: welcoming the Knicks to town on Wednesday followed by visits from the Bucks next Friday night and an afternoon meeting against Joel Embiid and the Sixers the following Sunday. 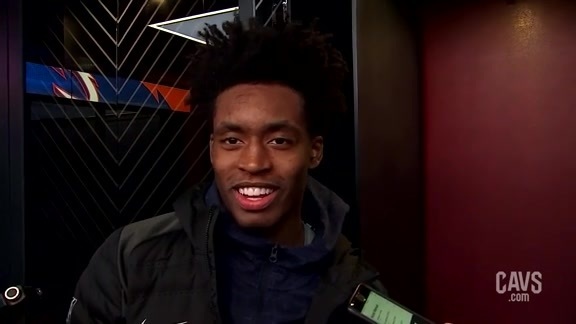 Cavaliers guard Collin Sexton spoke with the media following Friday's loss to the Sacramento Kings at Quicken Loans Arena. 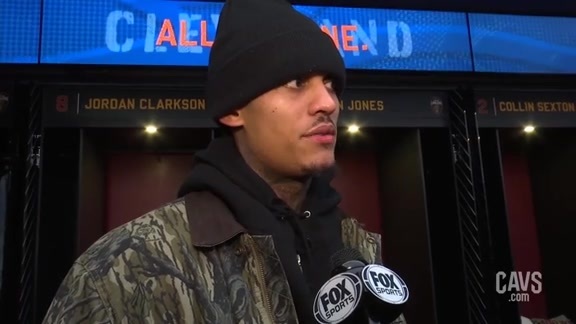 Cavaliers guard Jordan Clarkson spoke with the media following Friday's loss to the Sacramento Kings at Quicken Loans Arena. 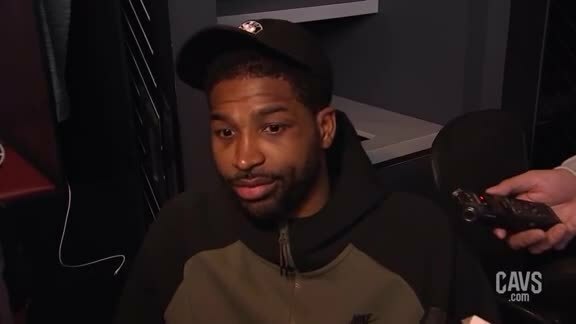 Cavaliers center Tristan Thompson spoke with the media following Friday's loss to the Sacramento Kings at Quicken Loans Arena. 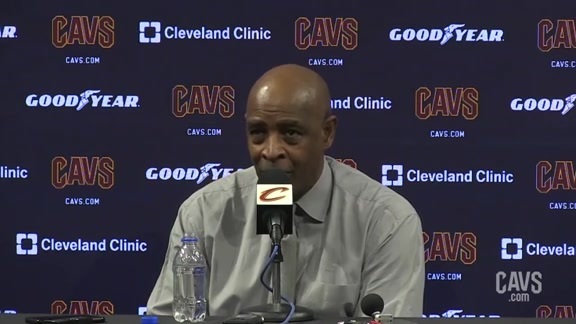 Cavaliers Head Coach Larry Drew spoke with the media following Friday's loss to the Sacramento Kings at Quicken Loans Arena. 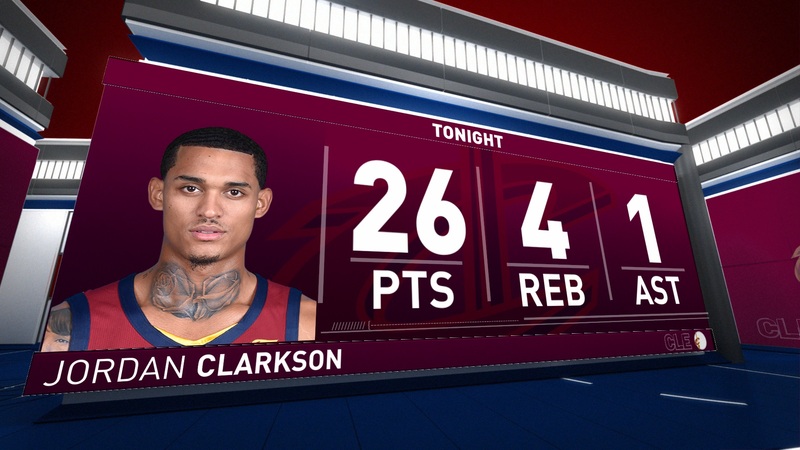 Jordan Clarkson scores a team-high 26 points off the bench against the Kings on Friday. 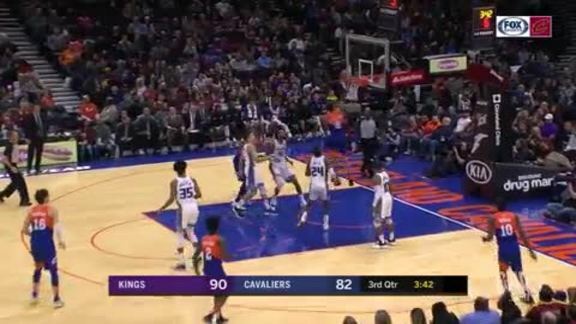 Featured Highlight: Cedi Lobs Larry Jr.
Cedi Osman throws the perfect high-handoff to Larry Nance Jr. for the alley-oop finish. 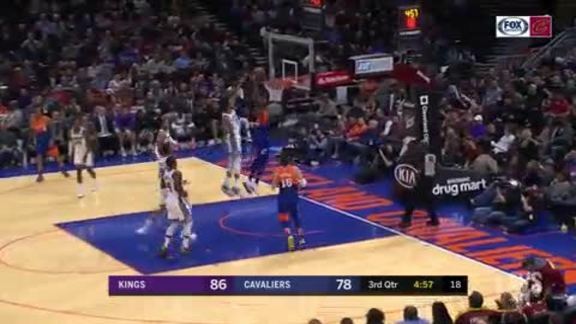 Jordan Clarkson drives it hard through the lane and throws the hammer down. 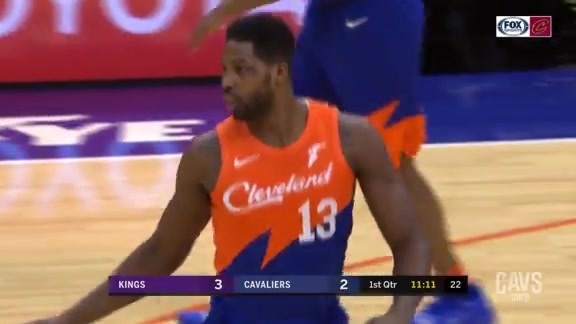 Tristan Thompson shows off his ball-handling skills by taking it the length of the floor for the flush. Jordan Clarkson pulls up and beats the first half buzzer by canning the triple. Alec Burks and Larry Nance Jr. work the two-man game for the slam in this ‘More Driven Highlight’ driven by Goodyear. Cedi Osman spins on the Kings defense and gets the tough layup to fall. Collin Sexton navigates his way through the Kings defense and converts the layup. 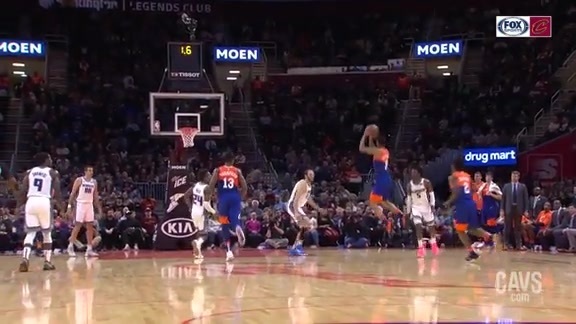 Tristan Thompson nets the jumper before the shot clock expires. 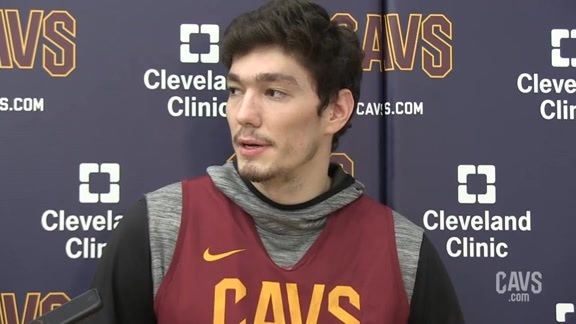 Cavaliers forward Cedi Osman spoke with the media following Friday's shootaround at Cleveland Clinic Courts as the Wine & Gold prep for the Sacramento Kings. 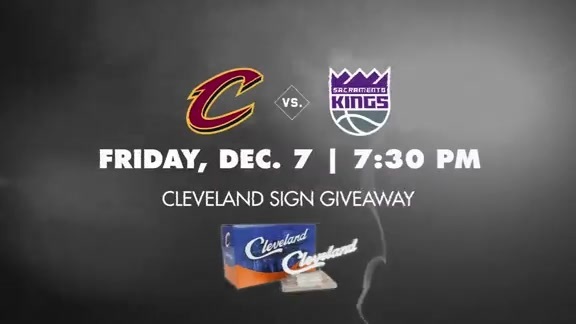 Join the Wine & Gold in their battle against the Sacramento Kings on Friday, December 7. All fans will receive a Cleveland sign. For tickets visit Cavs.com/tickets.